We are delighted to have recently delivered and installed three of our new 20m2 “Hansa Holiday Camping Cabins”. 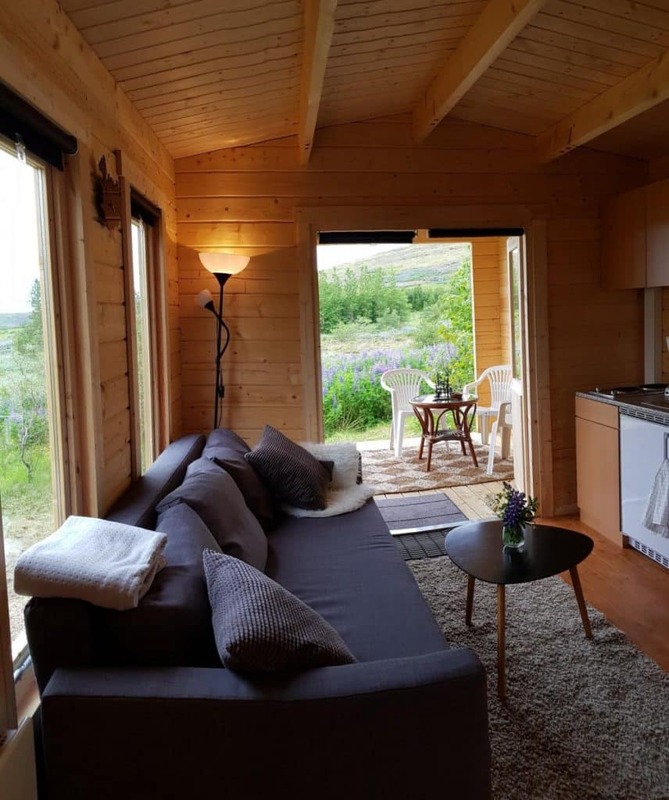 Each holiday cabin has three rooms, a 10m2 living room with a small bedroom and separate toilet / shower room, as well as a 3 x 3m veranda from which to enjoy breakfast and evening drinks. All three cabins were installed in just under two weeks and then had electricity and services connected before the final furnishings and finishing touches were done. 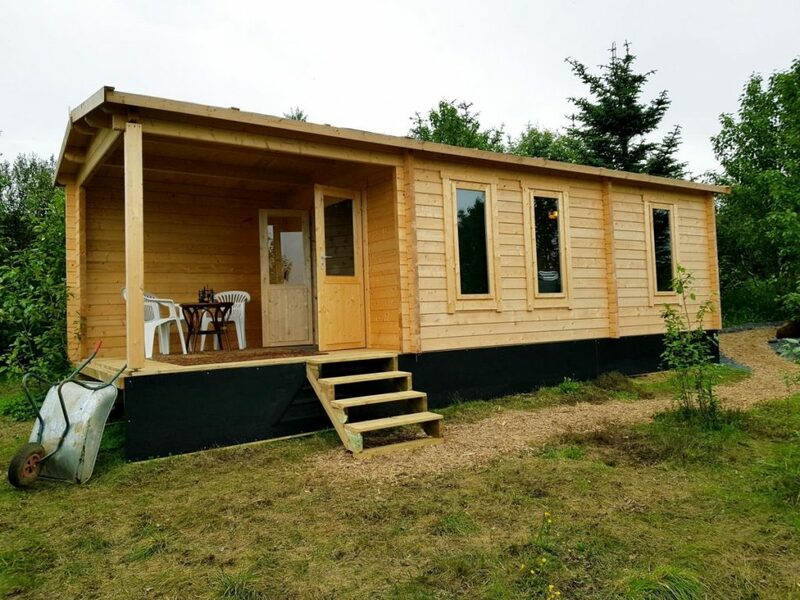 These cabins are ideal for a couple or by incorporating a sofa bed in the sitting room can accommodate children. 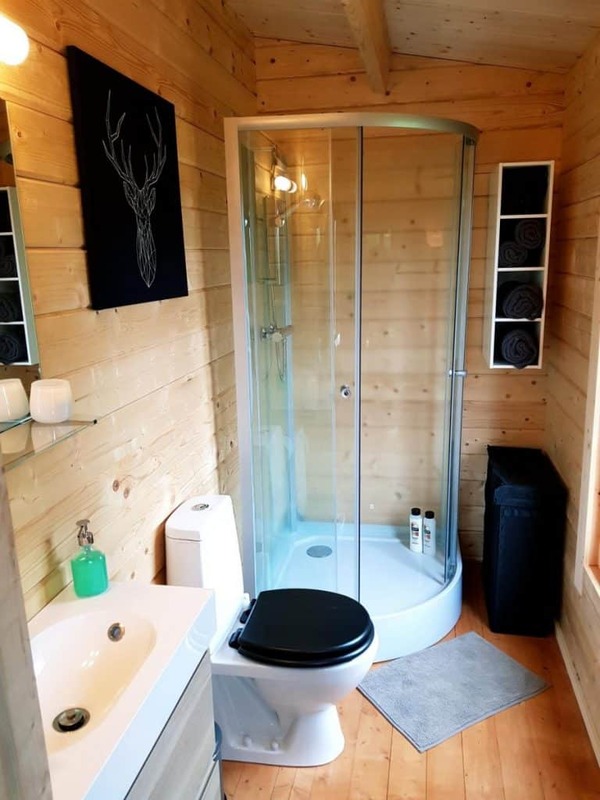 This cabin has an area for cooking and sitting as well as a good size shower room and small bedroom. The veranda is ideal for enjoying the view and maybe cooking a BBQ. We have already received very positive feedback from our customer: “The cabins look cosy from the outside but are like a tardis! Very spacious feeling compared to their size. Our Guests are very happy with both the houses and surroundings. 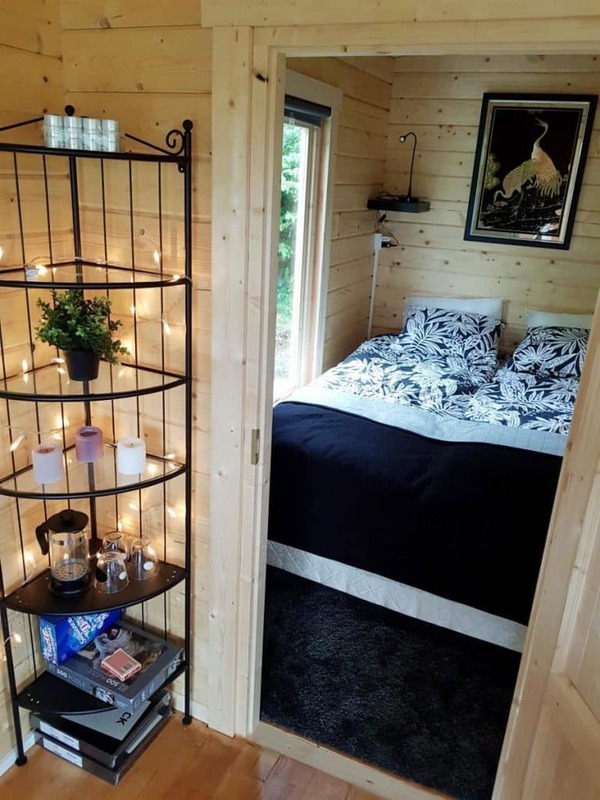 This version of holiday cabin is really something, I could not believe the space with both the washroom, bedroom and living room with kitchen“. 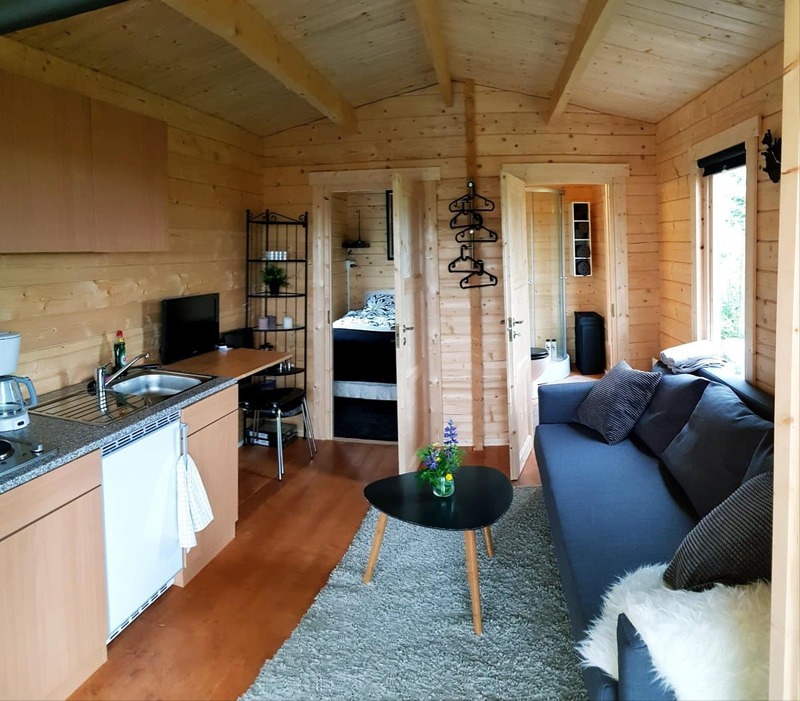 Whether you are looking to build a new camp site, expand an existing one or even building a guesthouse in your garden to earn extra income with Airbnb, the Hansa Holiday Camping Cabin is an ideal choice. This cabin is affordable as well as quick and easy to install. The standard cabin kit includes extra thick 70mm wall planks to ensure a very long-life span, strength and durability. This cabin has double glazed doors and windows for better insulation. For all year-round use, we would recommend that you insulate the floor and roof which will keep it warmer in the winter and cooler in the summer.